Every summer, hundreds of thousands of people go to Ocean City, Maryland. They're attracted by the sun, sand, waves, amusements, food and nightlife. It's the favorite destination of people in the rest of the state. 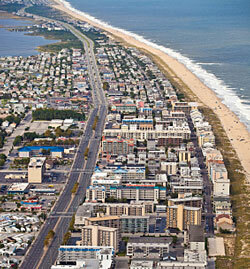 Ocean City Maryland is a vacation spot for people who like outdoor fun. The many Ocean City golf courses are big attractions. The charter fishing fleet brings visitors in too. And it goes without saying that the Ocean City beach is number one. Looking for Ocean City Events? Visit Ocean City Maryland Today. The Holiday Inn Hotel and Suites Ocean City is a spacious all-suites oceanfront hotel. Suites feature a living room, dining area, kitchen and balcony overlooking the ocean. Indoor and outdoor pools. The Carousel Resort Hotel and Condominiums is a family-friendly oceanfront hotel. Indoor and outdoor pools. Each room has a pull-out sleeper sofa. The Holiday Inn Express Ocean City is in north Ocean City at Northside Park. 122 rooms (66 suites). Adjoins two restaurants. The Quality Inn & Suites Beachfront Ocean City has a 5-story atrium with tropical landscaping. Indoor and outdoor pools. The Hilton Suites Ocean City Oceanfront is one of the highest rated Ocean City hotels on TripAdvisor. Every room has a view of the ocean. Each suite has a full kitchen and is a great alternative for familes who don't want to rent a beach house or condo. The Comfort Suites Ocean City is a pet-friendly hotel located off the strip, but close to everything and quieter than the hotels at the oceanfront. Free breakfast. 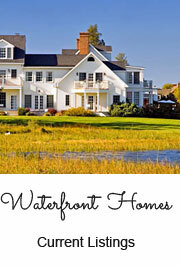 Ocean City Vacation Rentals - Enjoy the comforts of a home-away-from-home with an Ocean City vacation rental. Choose from rentals on the boardwalk, bayside waterfront properties, North Ocean City rentals, Inlet area rentals, rentals with docks, pet-friendly rentals, and more. Visit OceanRentalsMD.com for more information.